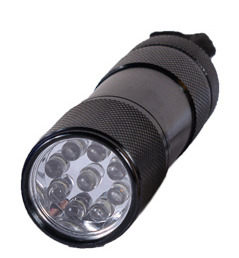 An ideal stocking filler for country men, women and children, this Black LED Torch will prove useful in the autumnal and winter months when daylight is shortened. Measuring approximately 8.5cm long, the torch is pocket size or will easily fit on a keyring with your house or car keys using the lanyard feature. Perfect for using whilst dog walking or other outdoor country pursuits. Other colours available subject to stock are Blue, Red or Gold.